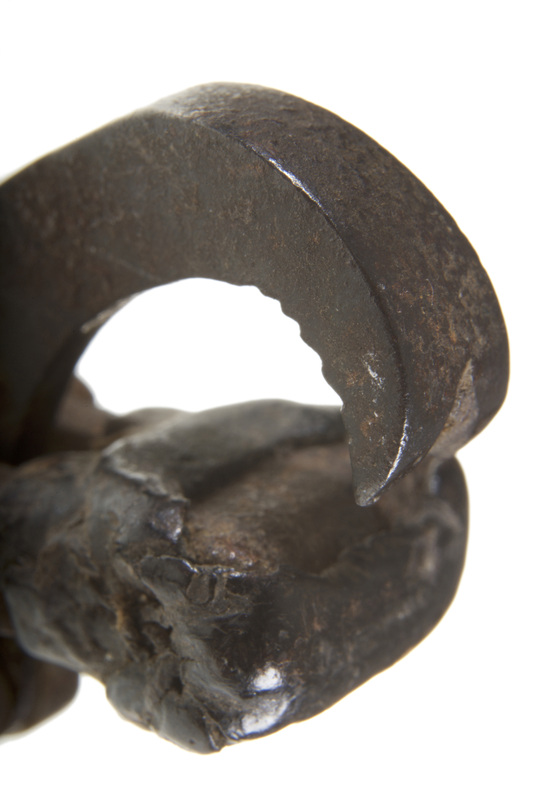 When placed over the tooth, the key claw often required adjustment and securing by the practitioner’s finger. As reported in 1830, this procedure, by “greatly interfering with the sight, often compels him, after placing the instrument, to finish the extraction in the dark, trusting to the accuracy and continuance of his first position. 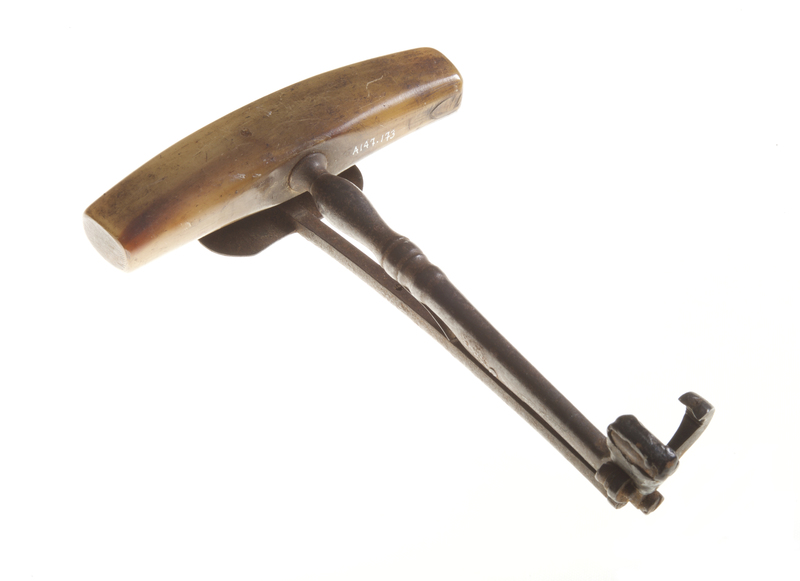 In many cases, when the pressure has commenced, the relative position of the claw, fulcrum, and tooth is very different from what the operator would have wished or risked, had his sight been uninterrupted.” In the early to mid 1800s, various key modifications were made in attempts to avoid such “blind faith” operations. 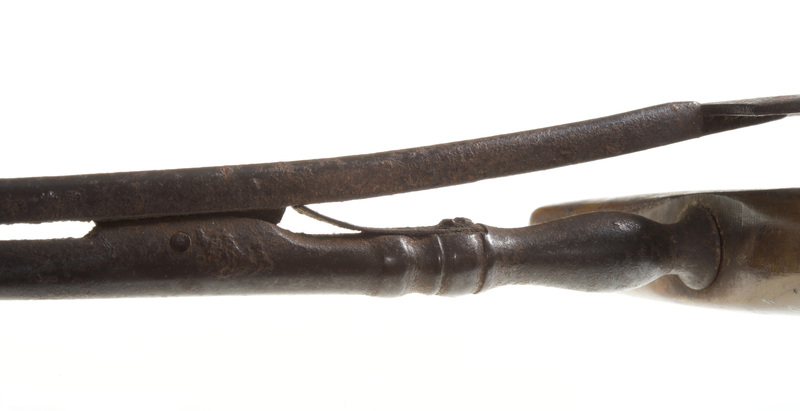 This split shaft key (A147.173) with cow horn handle represents one such design. 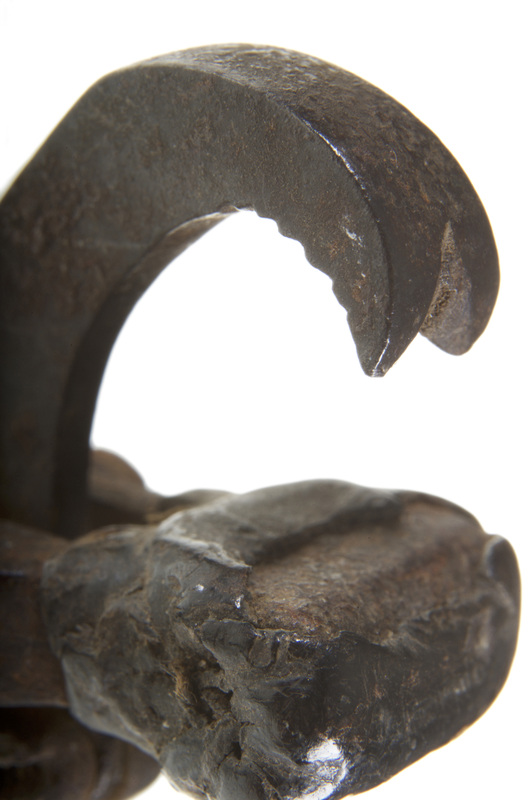 Attached to the main shaft by a spring, a long metal lever serves to keep the claw extended in the resting position. Bolster is covered by a piece of well-worn leather. 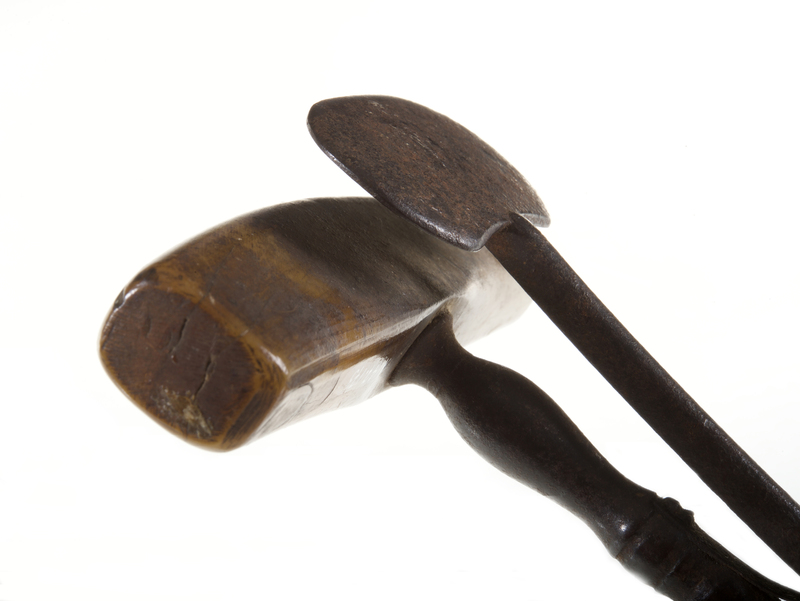 When compressed, the lever secures the claw over the tooth and holds it against the bolster. With this mechanism, it is unnecessary to torque the instrument in order to hold the claw in place, and the practitioner has a clear view of the final positioning before starting the extraction.